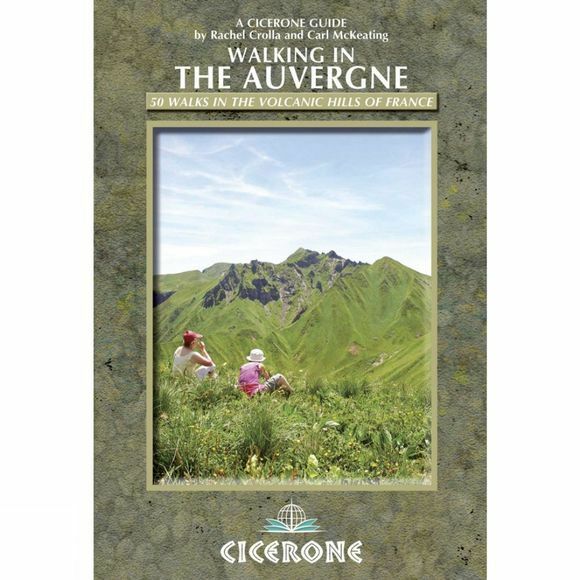 An ancient volcanic landscape formed over 70,000 years ago, the Auvergne offers a wealth of accessible walking against a backdrop of spectacular mountain scenery. The Auvergne region rises out of the Massif Central and spans the area from the spa towns of Vichy and Clermont-Ferrand to historic Le Puy-en-Velay. The landscape bears witness to the seismic volcanic eruptions of bygone ages, the result of which is that the area boasts mountainous terrain set alongside a wealth of more gentle ground, all of which is open to exploration and discovery. The routes guide you across long, angular ridge lines, up to perfect cone summits and down to secret crater lakes. They traverse verdant hillsides scattered with medieval villages as well as woodland and flower-strewn meadows, while visits to chateaux and monasteries provide rich historical background. This guide describes the finest day routes right across the region, clustered round towns and villages that make perfect bases for an idyllic walking holiday in rural France.